This blade makes no move to hide its true purpose - slaying zombies. 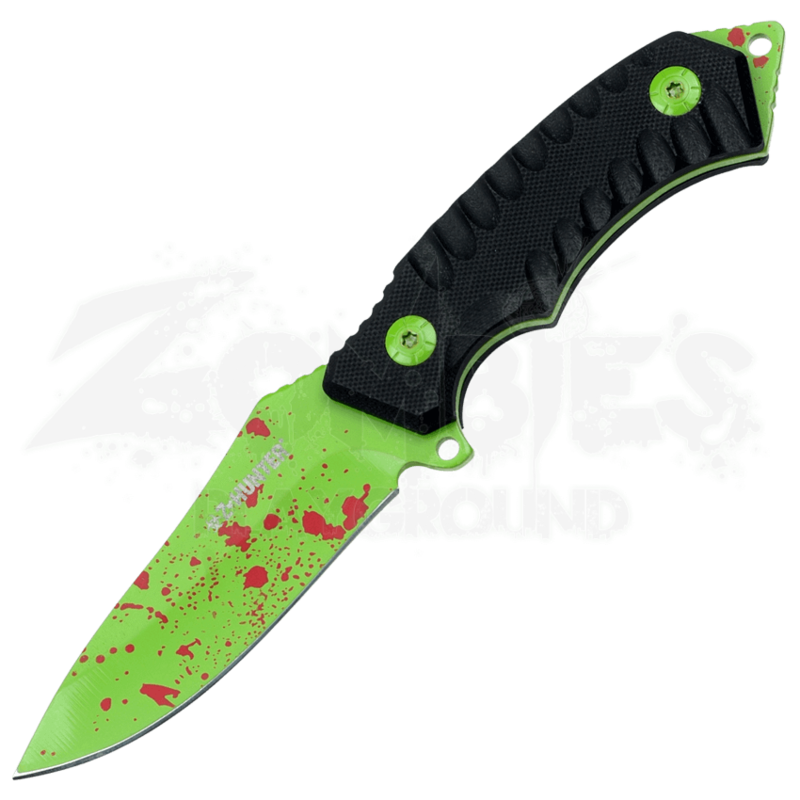 The Blood Spattered Green Zombie Hunter Knife shows off its past kills with a bright red blood splash pattern across its vivid green blade. This fixed blade knife features a full tang, drop point blade and durable and light weight black G10 handle. A lanyard hole allows a short length of cord to be added to help draw, locate, and carry the knife, while its black nylon sheath lets you tote it safely. 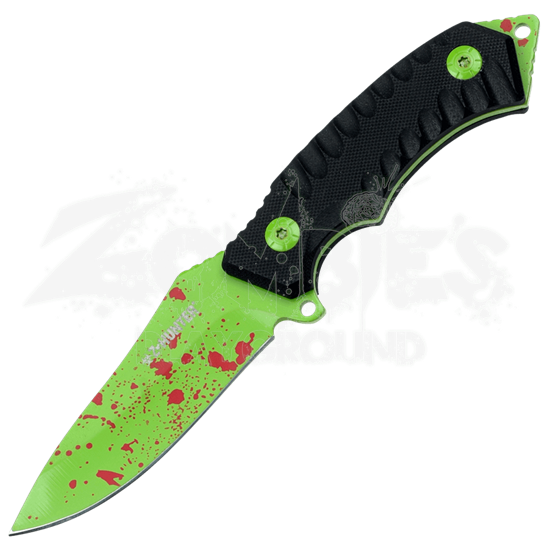 Make this Z-Hunter blade a staple of your survival kit, so you can be fully prepared when the zombies finally rise.